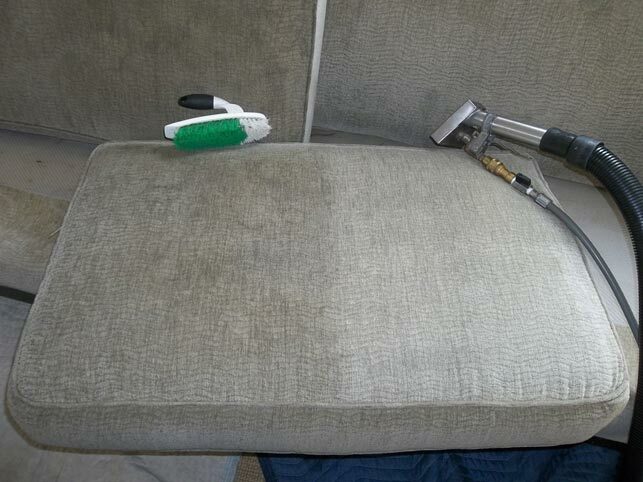 Inspect and test fabric in an inconspicuous area to determine if we can safely clean your furniture. Then we set up a work area, pre-spray, brush and clean with hot water extraction. You can see what great results we can get in the before and after photo at right. Upon arrival at your home, our technician will walk through with you, having you point out areas that need special attention. We then pre-spray the areas that are being cleaned. 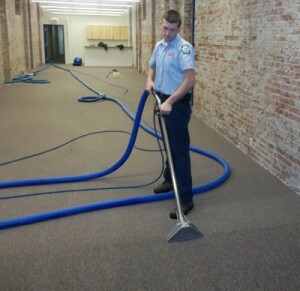 A powerful truck-mounted hot water extraction unit is then used to rinse the pre-spray, embedded soil, and spots from your carpet. Moved furniture will be put back in the original spot. Plastic tabs or blocks are placed under the furniture to protect both furniture and carpet. 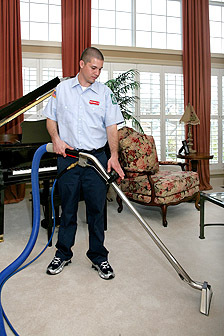 When the work is finished, you will be asked to inspect the work to make sure your carpet is cleaned to your satisfaction. We can clean cubicle units to brighten up your business. All of your chairs will look better and last longer if they are cleaned on a regular basis.